We all secretly want to be Spice Girls, right?? I know I do. And I'm definitely Baby Spice (based purely on physical traits). Well, here's one way to become a Spice Girl...even though it's no longer the 1990's. 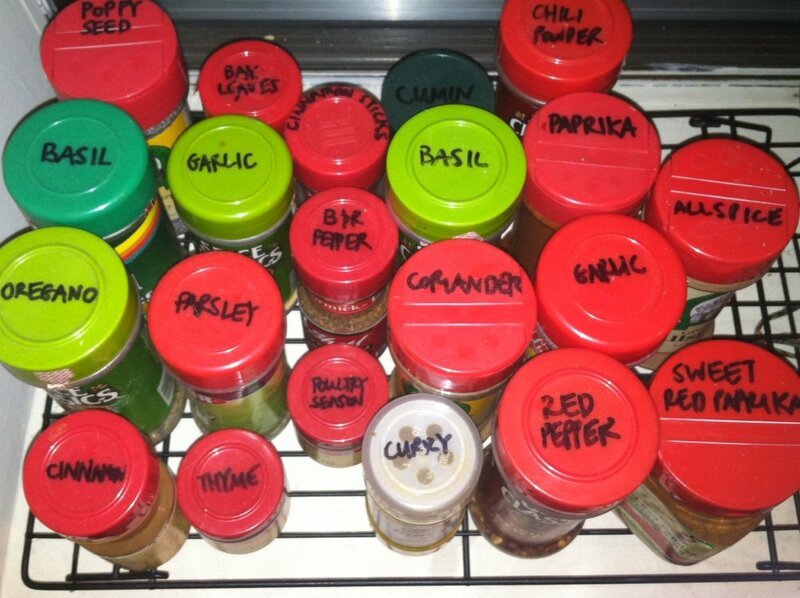 All you gotta do is label your spices on their lids. This is one of those tricks that seems so obvious but is tremendously helpful. Especially if you store your spices in a drawer or shelf . Instead of shifting them all about and scrounging around for the garlic (quickly! before your onions burn! ), you can just read the lids. This will make things a whole lot easier. Try it. Spice up your life!